General Information: A highly prized traditional "kyo yasai" or Kyoto vegetable, from the Kamo area of Japan. It has been a delicacy in the region of Japan for many hundreds of years. A Kamo eggplant is unique. It is fat and round with a flat bottom. 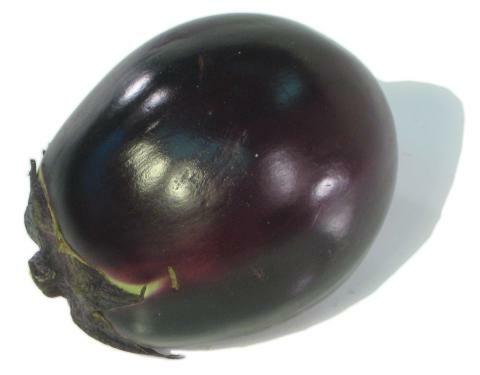 It has lustrous purple-black skin and purple calyx. The fruit is about 4" in diameter, and weighs up to 1/2 pound. This is the choice eggplant served at top restaurants in Japan. Its tight pulp has a rich flavor. Particularly delicious when coated and baked or fried with miso and tofu.